A sample of pictures of Killmarsh's housing, from late victorian to early 21st century. Below, Church Mews/Church Lane: On the left are late 20th century houses with a mock tudor 'wood and mud' facade circa 1500 AD. See the Brampton en le Morthen pages for an authentic tudor house. On the right are early 20th century terraces houses, build. 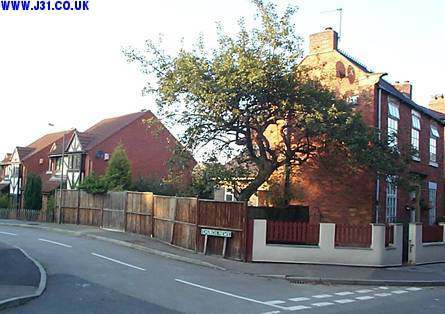 Like Kiveton and Laughton Common, Killamarsh has an estate of pre-fabricated post WW 2 houses. Unlike those two places the ones here seem intact, well maintained, and still viable as housing (Laugton and Kivetons were demolised in the noughties). These are on Rectory Road.